The cutting edge PC gaming developers over at Crytek have announced that their forthcoming CryENGINE3 game engine will feature full 3D support. 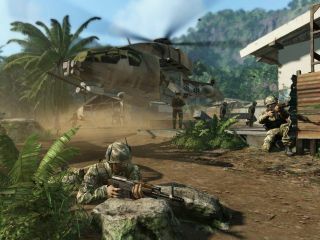 Crytek's Crysis is still, for many, the benchmark for graphical prowess on a PC, so the news will be welcomed by many in the PC gaming community. The fact that the new CryENGINE will support 3D may also convince a few critics and waverers who still consider the current wave of 3D hype to be little more than a flash in the pan. Crytek's latest is also set to be a multiplatform engine, which means the 3D gaming it engenders will be able to be enjoyed not only on the PC, but also on the Xbox 360 and PS3, if developers wish to create 3D games for those platforms. We look forward to seeing the first demo footage of Cryteks' new development tech at the Game Developers Conference later this month. TechRadar recently looked at how 3D browser games are threatening to take over traditional console and PC games.